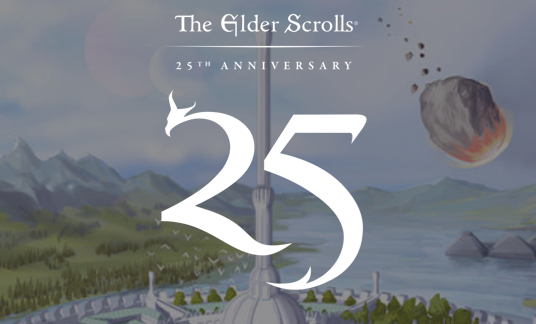 First things first, yeah, it’s been 25 years since the initial Elder Scrolls title was released. 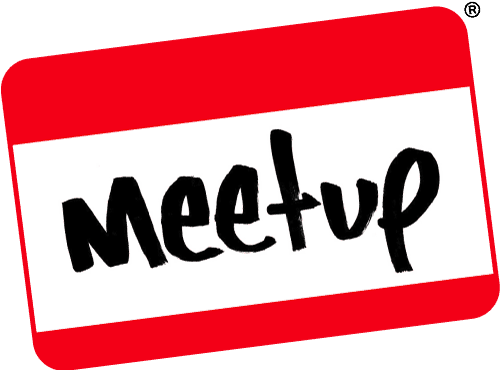 Soak that in, 25 years is older than some of our readers and attendees at our GeekOut Meets. 25 years of mysterious Khajiiti people, of the resourceful Argonians, the brutal Orcs, the milk-drinking Nords (I kid, they’re no milk drinkers) and more. That’s a lot of lore, a lot of content and most importantly there’s been a lot of time for the series to take off. Really, we could say Skyrim helped make the series a lot more mainstream, but die-hard fans of the franchise will reflect back upon the older titles equally as fondly. With that said, on the day of the 25th Anniversary, copies of The Elder Scrolls III: Morrowind was available for free on Steam. Unfortunately, that’s not up for grabs any more, but you can get it for 50% off on Steam, or according to their article, free from Bethesda.net. In fact, a lot of Elder Scrolls titles on Steam are currently in with 50% off, including The Elder Scrolls Online. Now’s genuinely an excellent time to pick the game up, as there’s a boat-load of content now and there’ll be a whole lot more added in June, when Elsweyr finally arrives. In all honesty, the anticipation is killing me, so hurry up and arrive damn it. I want to know even more about my favourite Elder Scrolls race! Elsweyr is our next location and this year is known as the Year of the Dragon. Okay if this was based on Chinese calendars, then that’d be completely wrong, as it’s year of the Pig, but we’ll ignore that! To ZeniMax Studios, the developers of Elder Scrolls Online, this is the year of the Dragon. As such, Elsweyr will feature an ancient threat coming to threaten Tamriel – and it all starts in Elsweyr. Of course, that means dragons are on their way and already we’re excited, having seen how well they’ve handled this prologue event. Check out the trailer above first. The amazing part of the Prologue event that they added to the game, to get you built up for Elsweyr, is that you effectively play this trailer… and I was not prepared for how amazing the dragons were going to look. Considering there have been some amazing dragons in gaming in the past, I just thought these would be “pretty good”. Turns out they looked pretty damn incredible in game too. So this image I took at the end of the prologue event and, yeah, I think I remembered why I love dragons again. So that’s it – If you’re free to, come and join us on the EU server of Elder Scrolls Online. We’d love to have you join us and hey, whilst you’re at it, you can pick it up for half price, bringing it to about £7.50 – What’s that, two pints of beer in the pub? If you saw the prologue event yourself, what were your thoughts? 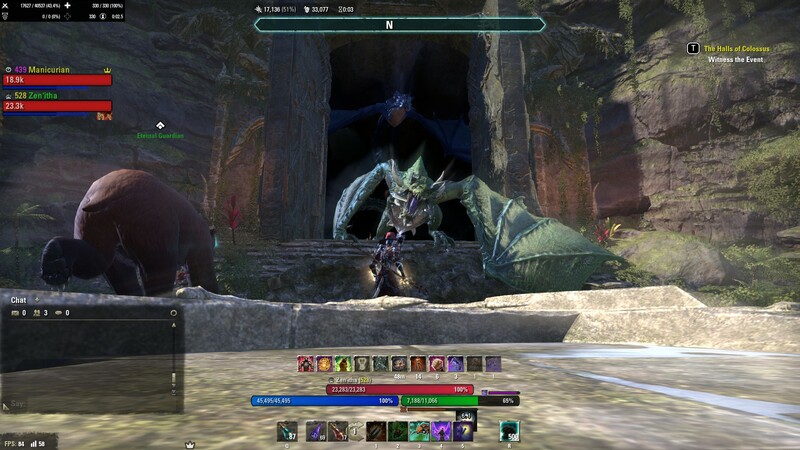 Whilst I’m at it, if you’d like to read about some of the intricacies of the game, I have worked on a guide to ESO, so check it out. Share your thoughts in the comments below, or over on Facebook and Twitter. This entry was posted on March 29, 2019 by Timlah. It was filed under Gaming posts, Video Games and was tagged with 25th Anniversary, 50% off, Bethesda, Dragons, Elder Scrolls Online, Elsweyr, ESO, Free on Steam, MMO, Sale, TES, the elder scrolls, ZeniMax Studios.